As the name implies, sandblasting is the process of using sand to prepare a metal surface for adhesion, bonding, molding, painting, or any other coating operation. It is also used to create a specific texture on a metal surface. For example, perhaps you want a matte finish and not a smooth and shiny finish. This is something that could be achieved using sandblasting services. Want to learn more about sandblasting? Great! Because in today’s blog post, we are going to take a closer look at sandblasting and discuss some of the ways you may benefit from this service. If you are in the Greenwich, New York, area and are looking for metal fabrications services – laser metal cutting, CNC machining, robotic welding, metal bending, sandblasting, and more – contact Fort Miller FAB3. We love taking on custom projects and helping to achieve all of your metal fabrication feats. View our services and contact us today to learn more. 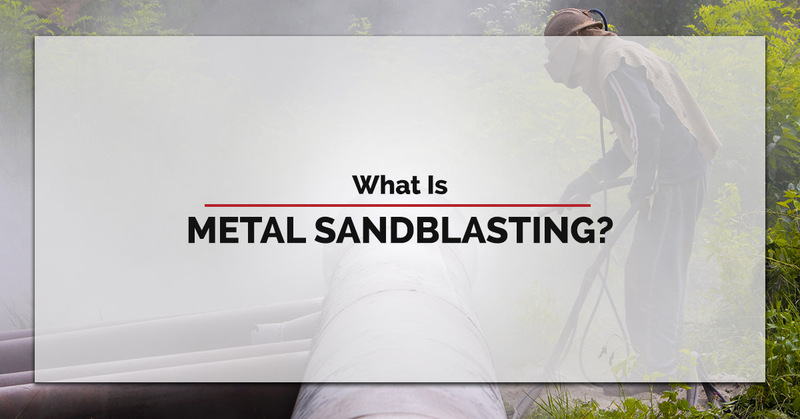 Also known as abrasive blasting, sandblasting forcibly propels a stream of abrasive material against a surface until the surface goes from rough to smooth or until the desired surface is achieved. To propel the stream, compressed air is generally used. This process was first patented by Benjamin Chew Tilghman on October 18, 1870. There are many variations of the process of abrasive blasting. They vary in their media, technique, and materials. In fact, for many of these variances, you might not even call it sandblasting. For instance, some abrasive blasting services use metal shot, glass beads, walnut shells, and even ice and baking soda (known as ice blasting and sodablasting. The latter two are used to achieve a mild and barely abrasive result. Below is a more detailed look at some of these common variants. Sandblasting – As we mentioned, this popular form abrasive blasting is akin to using sandpaper, but with a more even finish and no difficulty with corners and crannies. Wet-Abrasive Blasting – This technique is an alternative to sandblasting that is used to simultaneously degrease and reduce the dust when sanding. Because of these capabilities, it is often used when blasting potentially hazardous materials like asbestos, radioactive materials, and other poisonous products. Bead Blasting – Using fine glass beads, bead blasting is often used in auto body shops to remove paint, as well as by pool cleaners when trying to remove fungus and other types of grime from pool tiles. Many prefer this method over sandblasting because it creates less surface profile. Micro-Abrasive Blasting – Also known as pencil blasting, micro-abrasive blasting is a dry abrasive blasting process that delivers a fine stream of abrasive material to a small area. The process is known for being accurate enough to write on glass and delicate enough to cut a pattern into an eggshell. At Fort Miller FAB3, we have years of experience with abrasive blasting, and we only use industry-leading equipment. Our blasting equipment allows us to use a variety of media on a variety of surfaces. We primarily use 60-grit brown aluminum oxide when blasting. However, when you partner with us, we will help choose the best abrasive grit with just the right amount of hardness, shape, and particle size to achieve the results you need. Additionally, we are capable of adjusting the nozzle shape and power to find the optimal acceleration to apply to the parts. And the best part? Our level of finesse and process management allows us to reliably produce accurate results for the most demanding applications. Need metal sandblasting? Call our metal fab shop today at 518-547-4244 to learn more or to schedule your metal sandblasting services.